ATLANTA, Ga. – April 4, 2014 – As the days grow longer and the weather warms, activities are moving outdoors, including cooking. 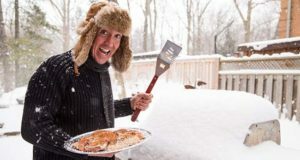 To keep those meals from going up in smoke, or worse, Enviro-Log®, Inc., a leader in eco-friendly products for home heating and outdoor activities, offers safety tips to help you avoid outdoor cooking accidents. Grilling has become more popular than ever. The number of barbecue grills and smokers shipped to North American stores increased 41 percent from 1992 to more than 14 million units in 2012, according to the Hearth, Patio and Barbecue Association (HPBA). With an increasing number of people using grills, many of whom may be inexperienced, there’s a greater risk for accidents that can result in serious injury or property damage. Safety first. 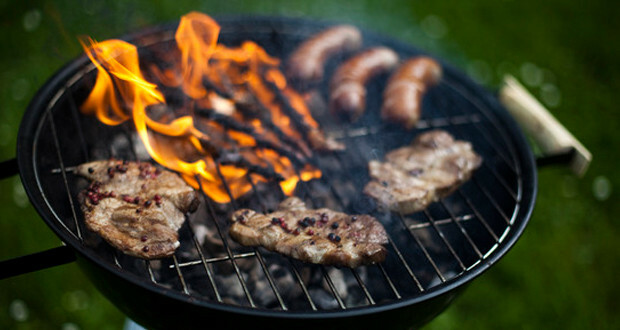 Never leave your grill or fire unattended and be sure to keep children and pets away from the fire and cooking area. Have a fire extinguisher nearby in case of emergency. Read the Manual. Not all grills are the same. Always read instruction manuals and consult the manufacturer about the proper use of your grill, firepit, or chiminea before use. Select the proper location. The National Fire Protection Administration (NFPA) said grills are the cause of 3,600 structure fires every year. Grills, fire pits, and chimineas should only be used outdoors and never in a trailer, tent, house, garage, covered porch or any enclosed area. They should be positioned at least 10 feet away from your house. In addition to creating a fire hazard, operating a grill, firepit or chiminea in an enclosed area can lead to the accumulation of carbon monoxide. Stay out of the wind. Never operate your grill, firepit or chiminea in high winds. High winds can significantly increase the risk of flames spreading to nearby structures including your home. Charcoal grills. Never add lighter fluid or any other flammable liquids to a charcoal grill that has been lit. Doing so can result in flare ups that can travel several feet. Consider alternative firestarter products that offer a preselected start that can easily be extinguished. Always let your charcoal cool completely before moving your grill or leaving it unattended. When you are finished grilling, douse the coals or soak them in water before disposing them in a metal container. Propane and natural gas grills. The NFPA reported that five out of every six grill fires involve gas grills. To reduce the risk, always check for gas leaks every time you disconnect and reconnect the regulator to your propane tank. Never attach or disconnect a propane tank, or move or alter gas fittings when the grill is in operation or is hot. Never use a propane tank if it contains bulges, dents, gouges, corrosion, rust or other forms of visual external damage. Clean and perform general maintenance on your propane or natural gas grill twice a year. Always turn off the gas at the source (tank or supply line) prior to inspecting parts. Visually inspect hoses for abrasion, wear and leaks before each use. When lighting a gas grill, always keep the lid open to prevent a flash-off from gas build-up. 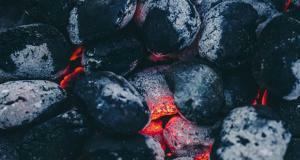 Almost a third of gas grill injuries happen when the grill is being lit, according to the NFPA. Do not lean over the grill when igniting the burners or cooking. If the gas grill does not ignite on the first try, HPBA advises waiting five minutes for the gas to clear before trying again. Campfires. The U.S. Forest Service recommends using existing firepits and fire rings at campsites. Always follow your campsite fire guidelines. Never build a fire in hazardous, windy, or dry conditions, and keep campfires at least 15 feet away from tents, shrubs, trees (and low-hanging branches) and other flammable objects. Have a bucket of water and shovel nearby. Never cut branches from live trees, and only use material that is approved for use by your campsite. When finished with a campfire, be sure it is fully extinguished before abandoning it. Dousing it with water is preferred, but dirt and sand can also be used to mix up the embers until they are cooled. Enviro-Log® is an eco-friendly, consumer products and recycling company headquartered in Fitzgerald, Ga. Enviro-Log is the largest waxed cardboard recycler in North America and the third largest producer of manufactured firelogs in the U.S. Its firelogs are made of 100 percent recycled materials and burn cleaner than wood while providing 50 percent more heat per pound. Enviro-Log Firelogs can be purchased at select national retail locations including Home Depot, Kmart, Lowes, True Value, Rite Aid, Sears, Whole Foods, Walmart, Shaw’s, select Ace Hardware, Stop & Shop, Giant Foods, Fresh Market, Harris Teeter, Weis Markets, Winn-Dixie, Bi-Lo, Blain’s Farm & Fleet and many regional retailers throughout the U.S. Enviro-Log Firelogs are also available in Canada at Lowe’s, Walmart, Target and Canadian Tire locations. Made from 100 percent recycled eco-friendly wax, Enviro-Log Firestarters offer an alternative to kindling, petroleum-based starter blocks, lighter fluids, and ethanol-based gels. Enviro-Log Firestarters are available at select retail locations throughout the United States, including Ace Hardware, Lowe’s Home Improvement stores nationwide, Rite Aid, The Home Depot (Eastern Regions) and many regional grocery and hardware retailers such as Weis Markets, Stop & Shop, Giant Foods, and Blain’s Farm & Fleet. More information on Enviro-Log can be found at www.enviro-log.net or by calling (866)343-6847. Retailers can also send an email to sales@enviro-log.net. You can also follow Enviro-Log on Facebook® at www.Facebook.com/Envirolog, or Twitter at http://twitter.com/EnviroLogFire for tips and product giveaways.